This VoCore  thing is tiny! It measures less than 3 square centimeters (about a square inch) and is about 2 millimeters (0.07 inches) thick. Admittedly, the VoCore is much less powerful than the Raspberry Pi, but its usefulness in projects that require a much smaller footprint, along with WiFi out of the box (something the RPi2 still doesn't have), makes it a very interesting option for makers. You can power the VoCore by connecting a power source to a couple of pins on the board (Figure 1). Although in theory it can take between 3.3 and 6V, you would be advised to go with the high voltages (i.e., between 5 and 6V). Anything less, and the device will not be able to bring up its WiFi network, and without its WiFi network, you won't be able to connect to it – unless you buy your VoCore with a dock, that is. Figure 1: A dock-enabled VoCore decoupled from its dock. The VoCore can be powered by connecting a 5V power source to two of its pins. It might be tempting to go with the basic VoCore; however, you could be better off getting one with a dock (Figure 2). The dock makes the whole thing 2cm (0.8 inches) taller, but it also adds a micro-USB port (which is a much more convenient and a safer way to power your device), a regular USB port, an Ethernet port, and a microSD card reader. Figure 2: Two VoCores with attached docks. You can see the USB and the Ethernet ports on the left, and you'll find a micro-USB port and a microSD card reader on the opposite side (right). A word of warning: If you buy a VoCore with a dock and then decide to decouple it, do so by placing the dock flat on a table, then pull the VoCore straight up slowly and carefully. The pins that join the dock to the VoCore are long, fragile, and easily bent. The VoCore comes with a SoC – Ralink/MediaTek RT5350 MIPS processor that runs at 360MHz with dual-band 802.11n WiFi with data rates up to 150Mbps. It has 32MB of RAM and a Flash storage of 8 or 16MB, depending on the model. 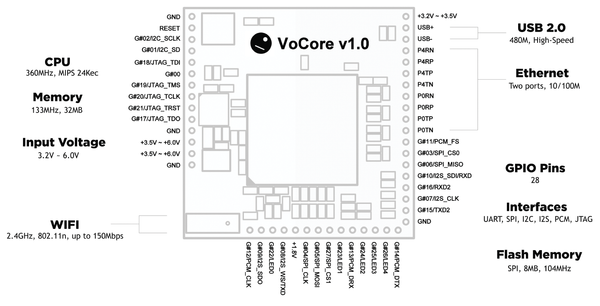 Even if you don't have a dock, you can link up to Ethernet, USB, UART, I2C, SPI, I2S, PCM, JTAG, and 28 GPIOs using the "pins" along the sides of the VoCore. Figure 3 shows the pinout. Figure 3: The VoCore pinout. 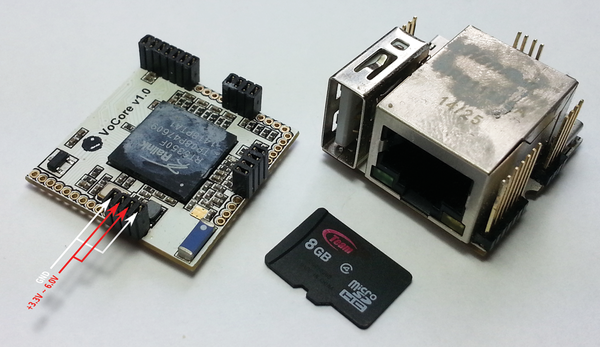 The VoCore runs OpenWrt , which is a GNU/Linux distribution for embedded devices, commonly used in wireless routers. This is convenient because, although the VoCore is incapable of creating a graphical interface to show on a screen, OpenWrt provides by default a nifty web interface called LuCI that allows you to configure a lot of its features graphically. It is beyond the scope of this article to go into all the options you can access and everything you can tweak from the web interface (there's a lot), but if you are familiar with network administration and router configuration (DHCP, firewalls, routing, etc.) a lot of the options should be familiar. Figure 4: Look for the VoCore network in your wireless network manager. Open a web browser and visit 192.168.61.1. You'll see the login page shown in Figure 5. Use root in the user field and vocore as your password to access the interface for the first time. From the web interface, you can check the VoCore's stats (free RAM, software version, uptime, etc. ; Figure 6) and configure its IP and its role in the network. For example, as it stands, the VoCore has no connection to the Internet and is not integrated into your own network because it is running its own. Figure 5: LuCI gives the VoCore a graphical web-based interface that makes configuring your device easy. 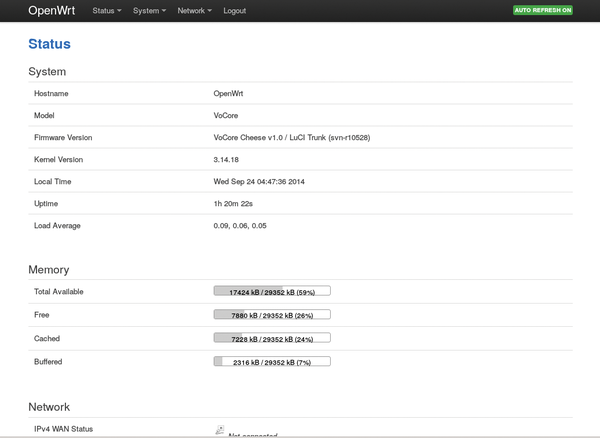 Figure 6: From OpenWrt's main web interface screen, you can check out the VoCore's essential stats. You can change this setup by going to Network | Wifi. Click the Edit button and, under Interface Configuration | General Setup, enter the ESSID of your own network. Select Client from the Mode drop-down box and click Save (not Save & Apply). This will save your choices on this tab without actually applying them. If you apply them right away, you will lose connection with the VoCore because it will transfer to another network. The problem here is that it won't actually be able to connect to your home network because you haven't configured the password yet. If you do make a mistake at this stage and lose connection, connect your VoCore through the Ethernet port on the dock (or connect an Ethernet cable to the pins if you haven't got a dock) and look for your device on the network. Assuming you have followed the instructions carefully until now and are still connected to the VoCore, switch to the Wireless Security tab and select your encryption type in the Encryption drop-down box. (If you're not sure, take a look at the configuration on your router.) Enter your network's passphrase in the key field and click the Save button again. Click on Network | Interfaces, press the Add new interface button, and enter a name that means something to you in the Name of the new interface box. I'm calling mine LocalWAN. Select DHCP client from the Protocol of the new interface drop-down and check the radio button next to the Wireless Network. Press the Submit button. Before you continue, open a new tab in your browser, visit the web interface of your router, and make a note of the devices currently connected to your network. Mine looks like the left side of Figure 7. This information will be useful when you need to discover the VoCore's IP when it joins the network later. Figure 7: Check the list of devices connected to your network on your router before you apply any changes (left). 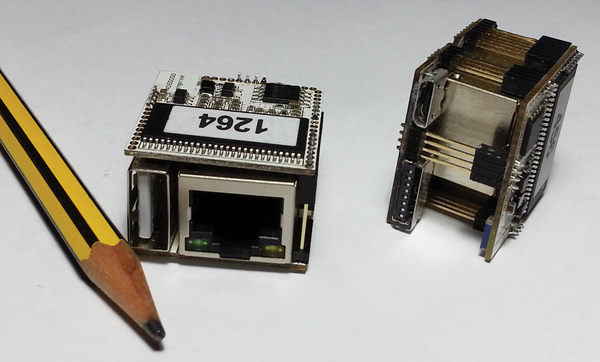 Once the VoCore is attached to your network, it will be easy to figure out its IP address (right). At this point, a box at the top of OpenWrt's interface will say Unsaved Changes. Click it and double-check the settings (especially the ESSID and passphrase). Then, click the Save & Apply button. The Waiting for changes to be applied… wheel will start spinning but will do so indefinitely, because at this stage you have lost contact with the VoCore. Go back to your router's configuration page and check for changes in the list of devices connected to the network. You should see at least one new device (Figure 7, right). That's the VoCore. Using that IP (in my case, 192.168.1.108) you can now reconnect to the web interface. If your router supplies a connection to the Internet to the rest of your devices, the VoCore should also have access. But, don't take my word for it: You can try it out. Using the techniques provided here, you can control a film SLR camera and a USB GPS receiver with a Raspberry Pi.